YOU’RE INVITED TOCHANGE THE WORLD. 24 Hours of Reality: The Dirty Weather Report on November 14-15th has exciting, essential programming you won't want to miss. Let's face it: The weather is different than it used to be. Record heat waves make it a chore to go outside. Floods and rainstorms damage our homes and cities. Crops wilt under severe droughts. Hot, dry weather feeds widespread fires. We're polluting our atmosphere with Dirty Energy like coal, oil, and gas. The result? The planet heats up. And we expose ourselves to Dirty Weather: Floods, droughts, heat waves, and wildfires. We'll always have bad weather. But we don't have to live with Dirty Weather. We can make the switch from dirty to clean energy ... and together, we can stop the pollution that's disrupting our climate. Help us change the world. Watch 24 Hours of Reality: The Dirty Weather Report, a live online broadcast with former Vice President Al Gore, beginning on November 14 at 8 p.m. EST and concluding on November 15 at 8 p.m. EST. Don't miss this - SIGN UP TODAY. 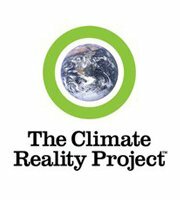 ©2012 The Climate Reality Project. All Rights Reserved.